Interesting joinery project for a close friend who is very much a audio junkie. I was asked to build a hifi unit and with only the measurements and specs of the amps, various equipment to fit and a record player sitting on the top. All the equipment is very heavy so this had to be taken in to account. 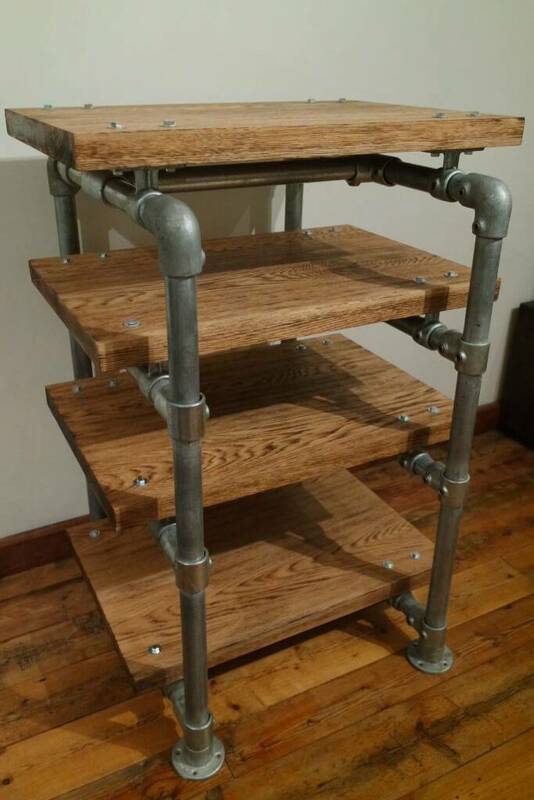 Taking inspiration from a industrial approach but adding the wood in to give it a steam punk vibe the final piece turned out quite interesting! 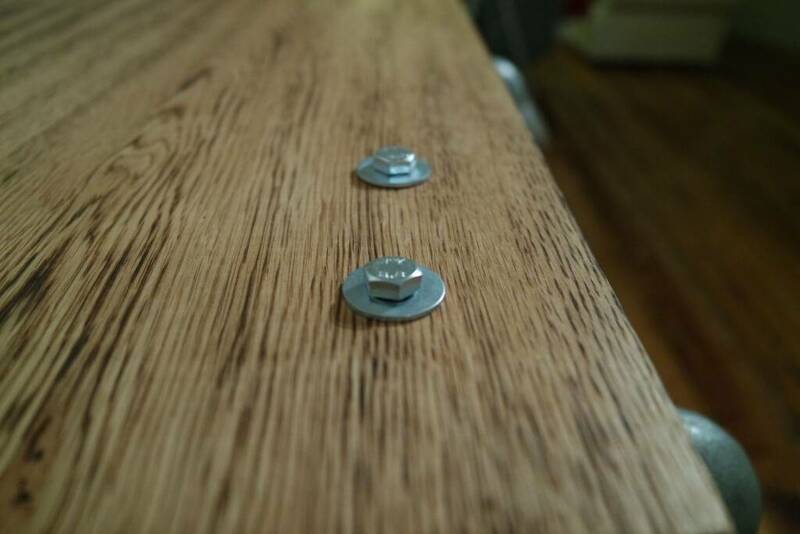 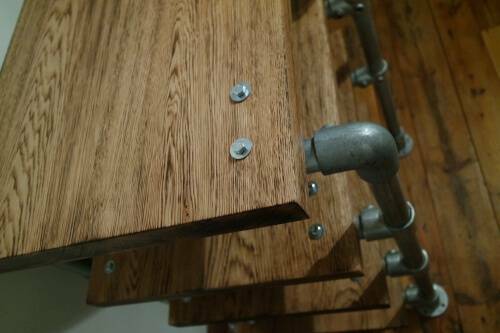 Seasoned oak was used for the shelves with a 40mm depth they are very chunky. 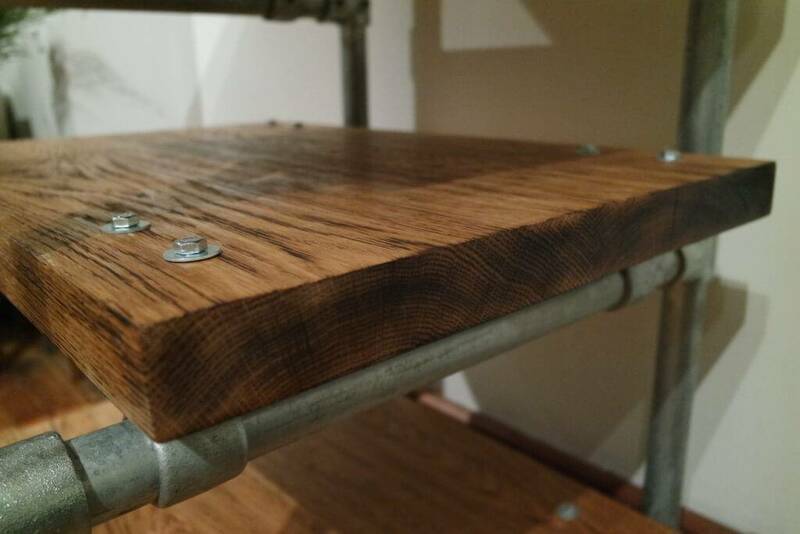 I decided to use a technique we use a lot which is to burn the oak to and bring the grain out, finishing with a final coat of high quality oil. 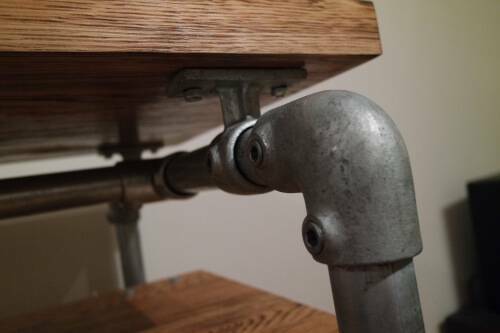 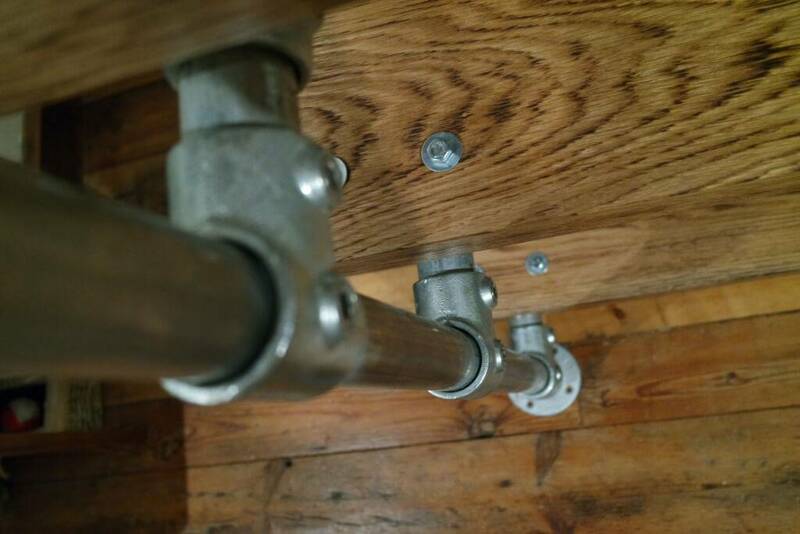 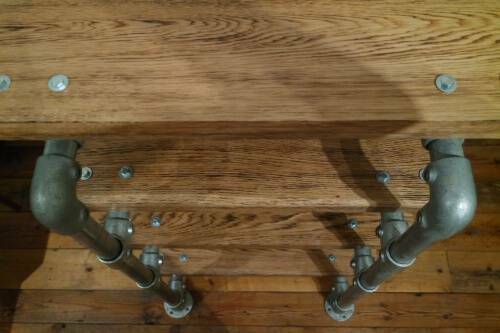 Industrial hand railing was used to build the frame work with various connectors to make the structure solid. 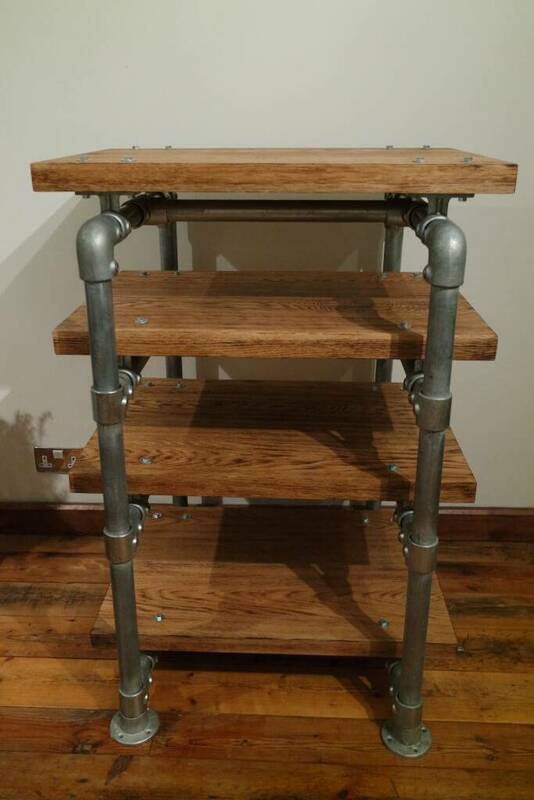 If you are interested in a bespoke commission head over to our contacts page and drop us a email.